Don’t you just love kitchen tips? For many of us, we just can’t get enough help in the kitchen because we want the most healthy and delicious meals in the quickest amount of time. We gravitate toward kitchen tips and “hacks” to make our time preparing meals most efficient, so we can move on to all the other things we’ve got going in our hectic lives. Admittedly, the title of this post is a bit over the top, especially if you’re an experienced cook. 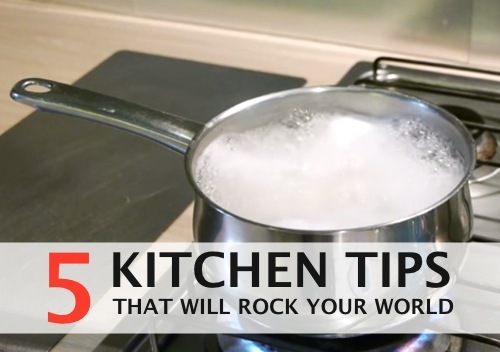 For the novice out there, we think you’ll appreciate Dav Hax’s five kitchen tips.